Merchants can offer multiple payment types now and prepare for the future with the next power performance features of the Vx610. 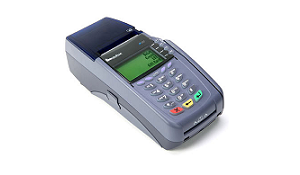 The VxÂ 610 countertop solution offers outstanding performance by combining superior speed and power for quick and reliable payment processing, along with increased memory to support multiple value-added applications. Comes with seconds-fast processing and plenty of memory for multi-application capabilities.